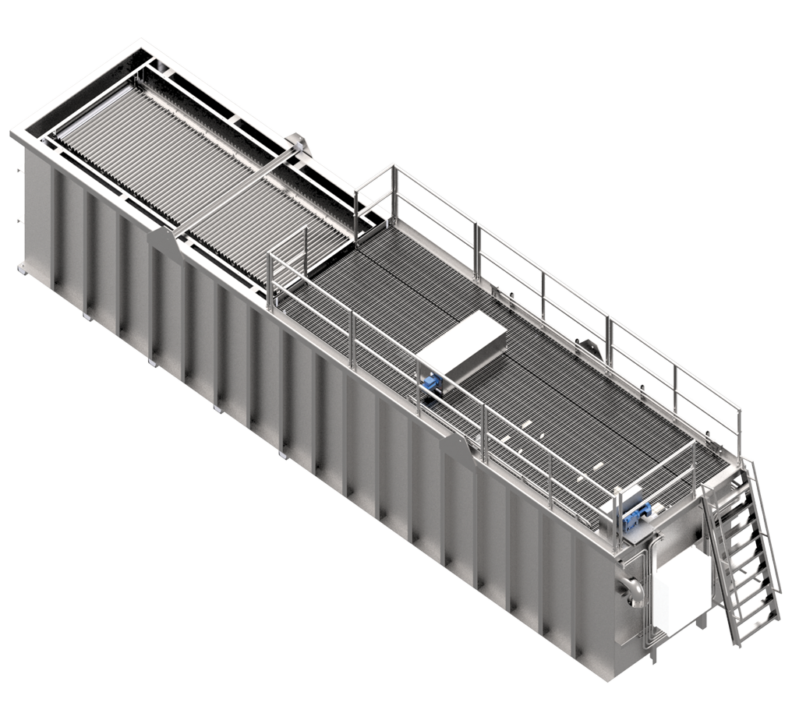 The JMS Mega-SYSTEM (Packaged Plate Settler System) was developed by JMS engineers to meet the needs of smaller water treatment or industrial applications. Using the same proven concepts as our Mega-SETTLER (Plate Settler System), Mega-SYSTEM units are custom designed for the requirements of each application. Mega-SYSTEM packages can include flocculation, plate settler sedimentation, and sludge removal. Using technology that JMS is known for, such as upgrading to stainless steel on key components, special preparation of spool and pipe shafts, and heavy duty bearings, the JMS Mega-SYSTEM will provide the same performance and low maintenance requirements that JMS is known for. JMS also has a pilot packaged unit that can be used for demonstration or testing purposes.